The Greens are not backing Labor on private health insurance saying it cannot be trusted. Labor has proposed a two percent cap on premiums for two years and a new Productivity Commission inquiry into the private health insurance industry. It has a standing commitment to remove the rebate from basic-cover policies. It says it will not scrap the rebate but says it is "not considering" other changes at this stage. That is not good enough for the Greens with leader Richard di Natale telling the National Press Club last week that, in relation to the rebate, "What it does is it puts us on the path to the US system - a two-tiered privatised system where you get one level of healthcare if you can afford private health insurance, and a second-rate level of healthcare if you don't. It's time we changed course." He subsequently followed up, attacking Labor over the rebate, even linking it to the opposition's non-committal approach to the Adani coal mine in Queensland. 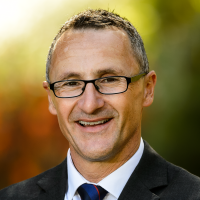 Senator di Natale said Labor should join the Greens in committing to scrap the rebate, in its entirety, and redirect the spending into the public health system.